Saving Point, a QIP (Quality Incentive Program) Consultant, is still welcoming and accepting Export Market Development Grant applications for FY2018. The EMDG program offers a refund of up to 50% on expenses incurred in the development of an overseas export market. If you incurred $15,000 of expenses in the promotion of your business overseas, you may be eligible for this grant. The program's deadline for submission is 30 November 2018. If you would like to hear more about this grant contact us. Following the May budget announcement, amendments to the R&D legislation have now been incorporated into a Bill (Making Sure Foreign Investors Pay Their Fair Share of Tax in Australia and Other Measures) to be discussed on October 15. For a further analysis of these amendments click here. Introduction of a $4m refund cap on the tax offset. Introduction of intensity of R&D expenses as a percentage of total expenditure. Companies with non-standard income periods of 1 January 2017 to 31 December 2017 have until 31 October 2018 to register their R&D applications. If you invested $20,000 or more in experimental activities to generate new knowledge, develop new products or processes - you may be eligible for the R&D Tax Incentive. There are a number of state and federal government grants available that you may be eligible for. Saving Point may assist with the preparation, review and registration of these grants. This month's edition introduces the AMESRF funding program. Alignment with AMGC's Knowledge Priorities for business. Demonstration of Advanced Characteristics. including advanced knowledge, processes or business models. 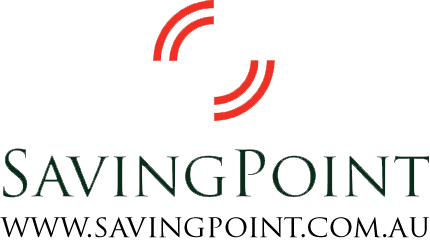 Saving Point can help your company in reviewing your application and Expression of Interest. If you are interested in applying or in hearing more about the program contacts us below. If you have any questions, or are interested in learning more about our services, contact the Saving Point Grants Team.